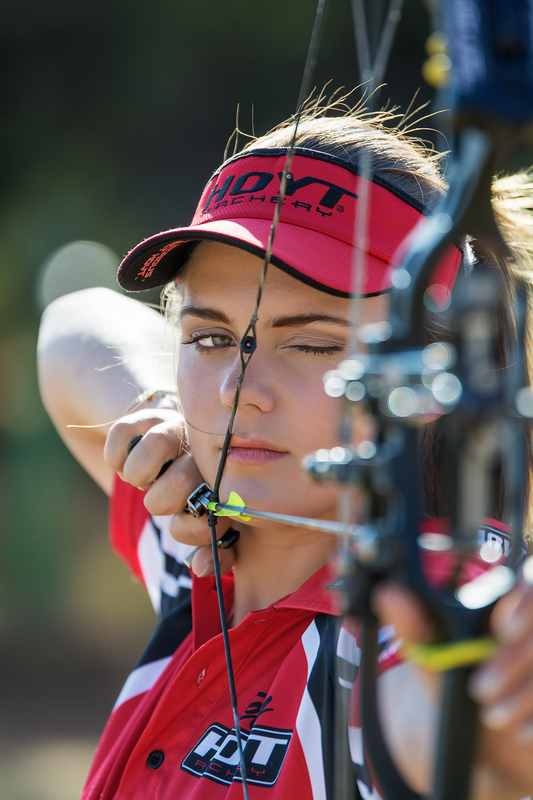 “Archery is the practice or skill using a bow to shoot arrows. 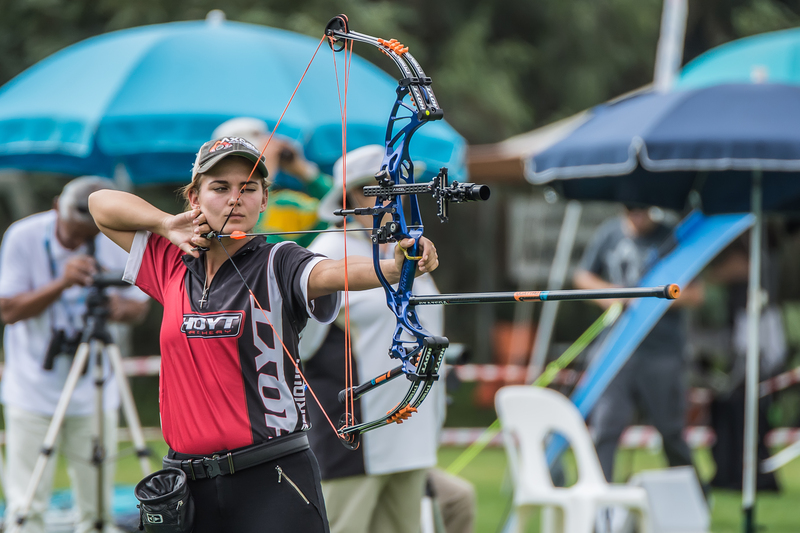 As a sport, archery requires skills of precision, control, focus, repetition and determination” – www.worldarchery.org And these are all the skills that Danelle Wentzel at a very young age showed she has what it takes to break a world record. It is that same determination and hard word that filtered through in her personal life to achieve and incredible transformation. My name is Danelle Wentzel I’m 23 and a student at the University of Pretoria. I’m a passionate archer that loves everything to do with shooting. Besides archery I like being outdoors, keeping myself busy with either cycling, hiking or fishing. 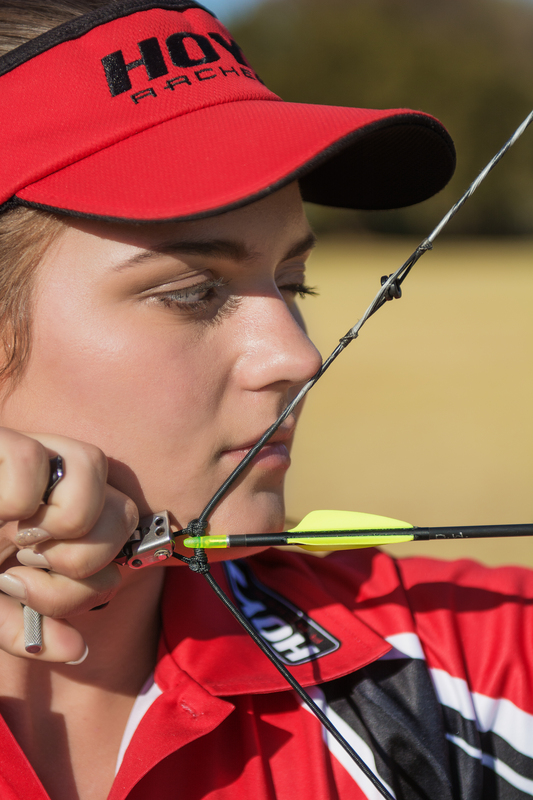 Archery is such different form of sport, how did it all get started for you? How I got into archery is a typical South African story, my cousin enjoys hunting but has problems with his hearing and being a pilot he had to find an alternative way to hunt, that is where archery came into the picture, my dad helped him with buying his first bow. This quickly escalated to my dad buying a bow for himself and my brother as well. I felt excluded when they practiced and soon enough I had my first bow, this was in 2008. 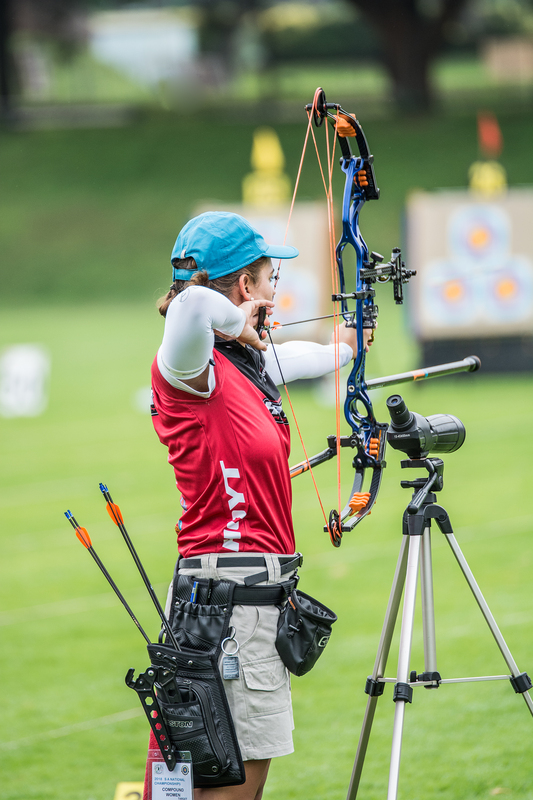 I never wanted to participate in competitions, I was shy, overweight and insecure, that led to being afraid of being called a tomboy and the stigma around archery is that it’s a male sport. Eventually my dad bribed me to shooting one competition with him and I’ve never looked back since. My archery career started in 2009 and is still going strong. 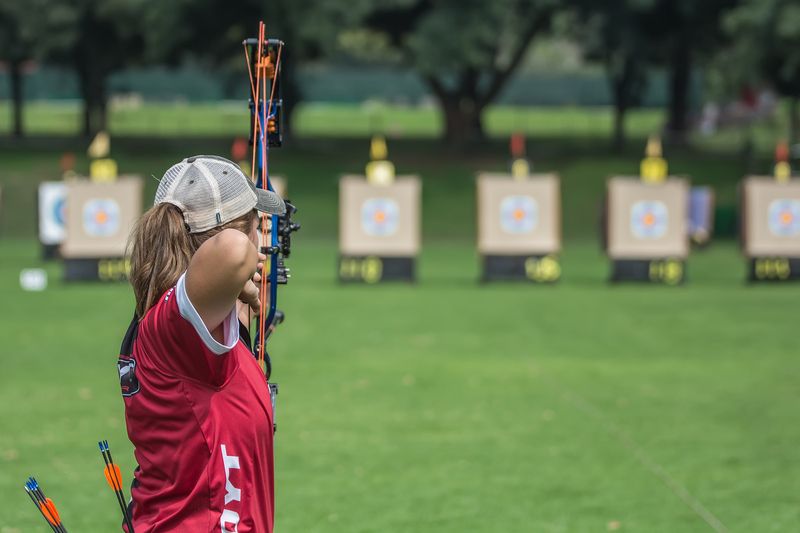 Every sport has that moment of pure exhilaration, what is that moment in archery for you? I can talk for hours about archery and why I enjoy it so much but if I have to pick one moment of pure exhilaration that keeps me coming back for more day in and day out, is when you are shooting eliminations on an International line with your opponent next to you and you draw your arrow, aim and shoot it. That is pure adrenalin that rushes through your body, I try to explain the feeling with a coke bottle as example, you feel the bubbles, then you shake it and the pressure builds up until it is so intense and then suddenly the cap pops open and the relief flows through your body. One other point I have to mention is the fact that archers become family. Everyone there, just like you, are trying to improve their skills whether they’re on your level or not. Setting a new world record at the South African national championships is such an incredible achievement, how did this moment make you feel? The feeling is indescribable it is pure joy and a moment that will never be forgotten, a memory imprinted forever. What made it special was the fact that my dad decided that day, that he wanted to come and support me. 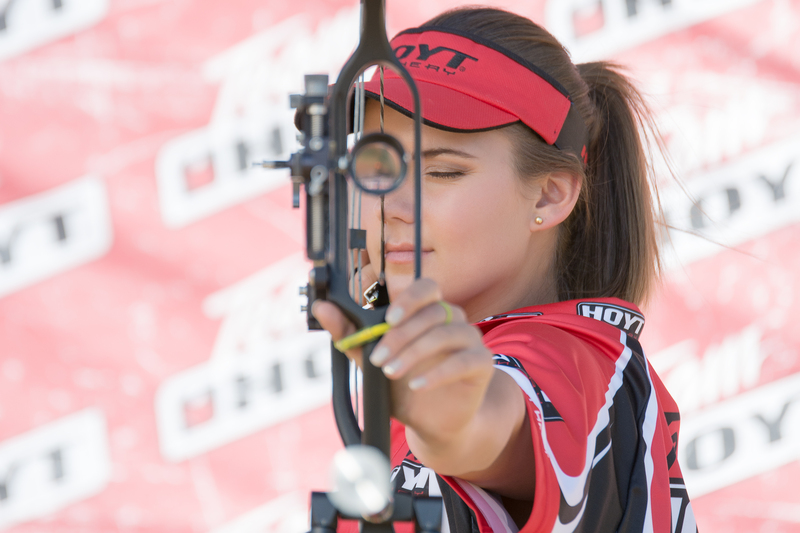 What has been the highlight of your archery career? You underwent a personal transformation where you lost an incredible amount of weight. What was the defining moment for you that made you realise it is time for a change? In 2013 my matric year I went through a personal transformation and lost 14kg, I’ve tried a lot of fad diets that only worked while you were on the plan and as soon as you stopped you gain all the weight and sometimes more, I was tired of feeling uncomfortable and of short term results. I wanted something that can last. 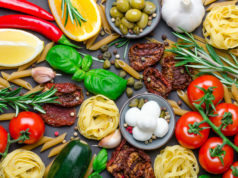 I found Salome a personal trainer and she was exactly what I needed at the time, I knew nothing about nutrition and fitness and she loved sharing her knowledge and I was eager to learn. At first it was only to lose weight for matric farewell but I soon realised it was for so much more. It is one reason I’m studying sport today. What changes did you make to your lifestyle to make this happen? The changes we made was very simple, I started my day with a breakfast which I normally skipped had lunch and dinner with snacks in between. I ate more protein and less starchy foods (it’s still my weak point) and we trained every day. This was the first time that I really exercised because I was never into school sports. 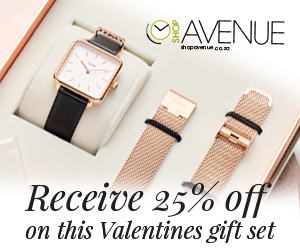 What kept you motivated during this period and how do you keep yourself on track now? At first it was horrible being sore and stiff the whole week, but when my body got used to it and I could see my strength and endurance improving. When we first measured me after 2 months I was shocked with my results (a total of 37cm lost) and that kept me motivated to keep going. I’m not saying it was easy and still isn’t, it’s a choice you make daily that you want to improve, it is a learning cycle I’m still figuring out what type of nutrition works best for me and my day to day activities, I still gain weight and lose it, I think it’s normal and that shouldn’t make you negative about your journey. I try keeping on track with small goals and activities like going on a hiking trip over weekends, so I’ll try to do some exercises to improve my endurance during the weeks before that. What does your training and nutrition program involve now? My training and nutrition now is, 1 hour a day of strength training, a few hours of archery practice and my nutrition is a balanced diet, I try to eat healthy foods, but won’t say no to ice-cream, foods that will sustain and give me energy throughout the day. I’m not following a strict diet but try to make better choices where I can. As we heading into 2019, many ladies will be setting up their health and fitness goals for the year ahead. What advice can you give our HERS readers to reach their goals and make a long-term lifestyle change. For any ladies going in 2019 with health and fitness goals I’ll say remember that slow progress is better than no progress, take little steps that is sustainable, don’t try to fix everything at once that will ruin your motivation and will leave you feeling like a failure, we all fall in the trap of comparison, try to focus on your own goals that suits your body, think more positively. Mental health is just as important or even more so than your physical appearance.